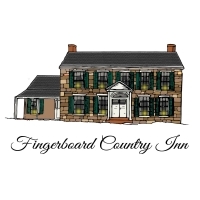 Fingerboard Country Inn is a vacation rental space and private event venue housed in a beautifully refurbished, 18th-century estate. Located on 25 acres, our manor combines historic charm with modern luxury. Guests also enjoy a chef-driven gourmet kitchen, where each meal is crafted using ingredients sourced from our own farm and garden. Savor the privacy you seek, or spend time with us getting to know the goats, chickens, ducks, and peacocks who call this place home. We&rsquo;re dedicated to providing unparalleled comfort with every moment, and we&rsquo;re always happy to have you here.